The art world of NYC has changed. No longer are the days of conservative pieces being displayed on the Upper East Side or Midtown but rather contemporary statements now seen in Chelsea and, daringly enough, Brooklyn. If you’ve been strolling down the streets of lower Manhattan chances are pretty likely that you’ve seen the hip skeleton wall art popping up from place to place. Thick brush strokes, colorful touches, they might even look like people you’ve seen before. But who? These colorful paintings inspired me. 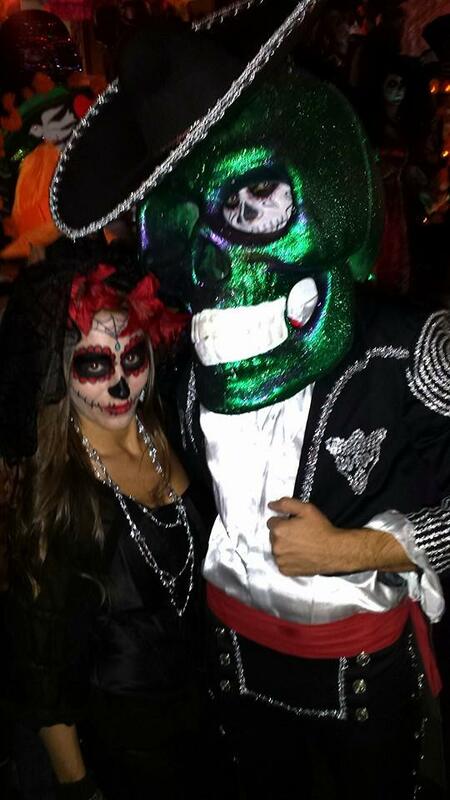 I wanted to look like them, none in particular, so this past Halloween I decided to dress up as Dia de Muertos. 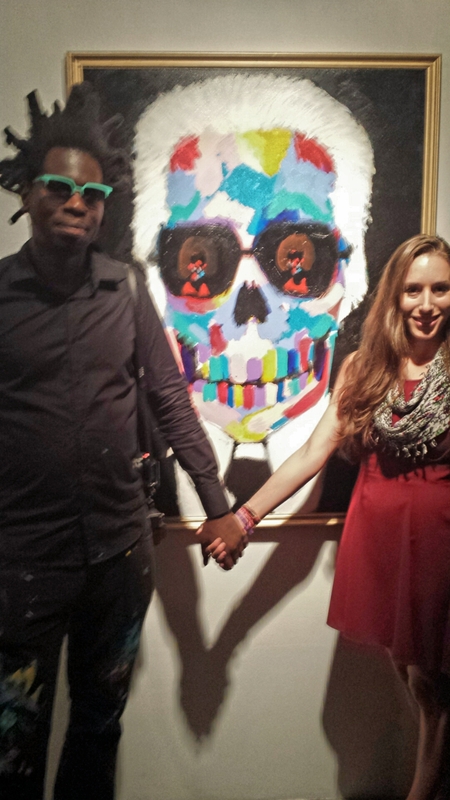 I felt ironically alive and fashionable for being painted as a dead skeleton. Walking in the Village Halloween Parade I noticed an entire float dedicated to the theme. Were they all trying to replicate the wall art that I saw? Skeletal outlines with hints of color, dancing in their disguises as though tomorrow would never come. Happiness. Fast forward a few months to June and I’m standing in ACA Galleries on W 20th street in Chelsea, the new art mecca, amid dozens of those exact paintings with other admirers. 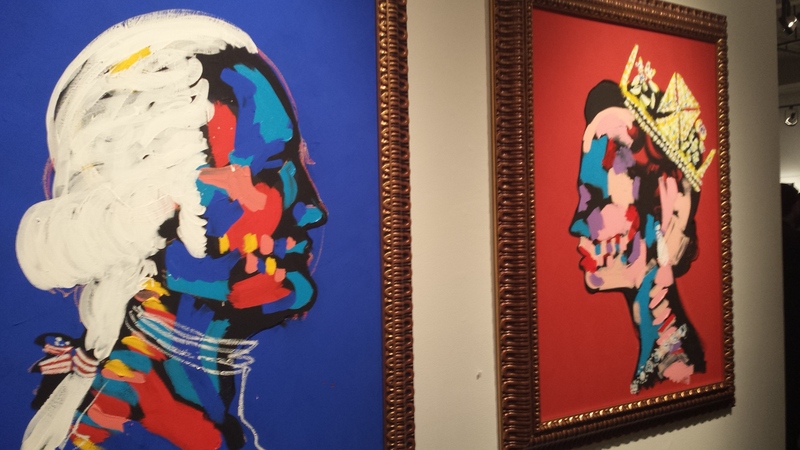 The artist is Bradley Theodore and he’s altering urban landscapes. It’s hard to argue that, we do have quite the community although I’m not entirely sure any good conversation came from physically bumping into someone on the sidewalks in this city. But that’s the essential beauty of N.Y., we’re different. We have a love hate relationship with everything around us. Expansive subway system but the fares keep going up. Culinary diversity but it’s $4 for a slice of pizza. Millions of apartments that are ridiculously overpriced. Insert Jimmy McMillan screaming ‘the rent is too damn high.’ Bradley seemed to agree about the pricing of rent, claiming that is what makes this city different than any other he’s painted in. Maybe that’s why he paints people in skeletal form, they’re all too broke to afford a proper meal. But if you look hard enough you’ll start to recognize those familiar faces and they aren’t those of broke New Yorkers. Karl Lagerfeld and Anna Wintour, Terry Richardson, Andy Warhol. 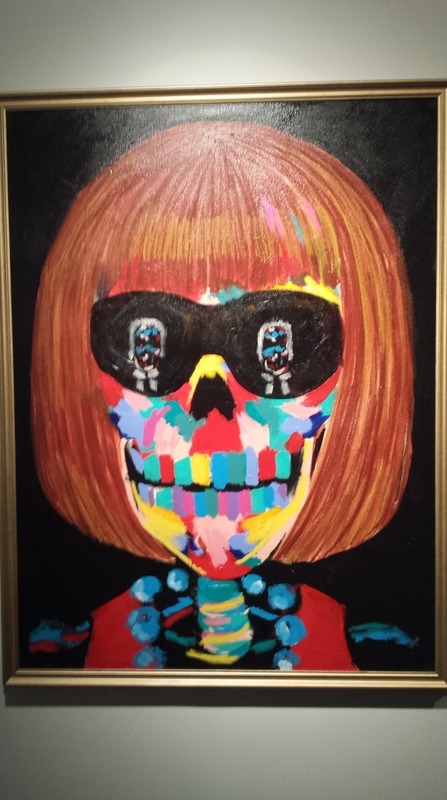 The art depicts some of fashions biggest icons. Bradley is successfully contributing to a world where one would not exist without the other. Karl Lagerfeld was once quoted as saying “doing collections, doing fashion is like a non-stop dialogue.” I can only assume this resonated with Bradley Theodore as I asked him one very important question. How does he want the viewer to feel when looking at his collection? The word takes a deeper meaning when it’s binding his art to a specific location. All those wall murals I had mentioned above, which I’m sure are familiar to many, are in fact non-transferable. They’re made for specific people and when that person is no longer attached to their location Bradley will go paint over his art. Veronica Campanelli, admirer of Bradley’s work, explains the irony she feels when looking at a painting. But what if the artwork isn’t on a wall or something 2 dimensional, what if it’s on a woman’s body? One of Bradley’s models for his collaborative exhibit with Antoine Verglas, Angel Pai, described her experience as surreal. The collaboration between Bradley and Antoine is an expository dialogue. 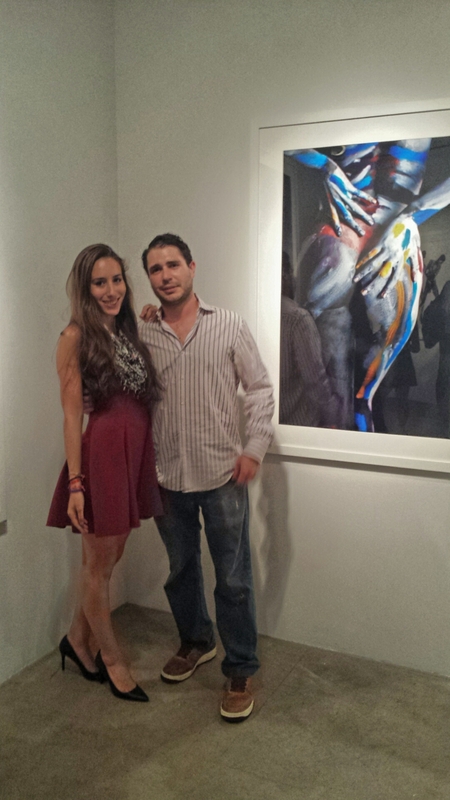 Models wearing nothing but their personalities, covered in paint, true to life the symbiosis between art and fashion.